Modafinil is a popular wakefulness promoting agent used by millions of patients everyday, though it started as a drug for narcolepsy, over time (reluctantly, see: Jet Lag syndrome) the FDA has allowed Cephalon to market it for other symptoms as well. It is a popular medication now used off-label to manage ADHD, aid in Weight loss and taken as smart drug to boost mental capacity temporarily. The advantages of Modafinil are appealing and not easy to resist for those with the above aforementioned symptoms or goals. When an individual decides to take Modafinil, they should first do their part and understand the procedure of how to carefully consume the drug. An important question one should ask before taking Modafinil for the first time is what’s the right dosage to avoid the side effects, 50mg, 100mg, 200mg, 400mg? Modafinil was first developed at Lafon Laboratories in France in the late 1980’s. Modafinil was discovered after the invention of a chain of other chemicals categorized as Benzhydryl Sulfinyl. Most importantly, these included Modafinil’s precursor compound Adrafinil. Adrafinil was first found to improve wakefulness & alertness, later it was offered to treat people suffering from Narcolepsy in 1986 in France. Modafinil was discovered as primary Metabolite and active component for Adrafinil. 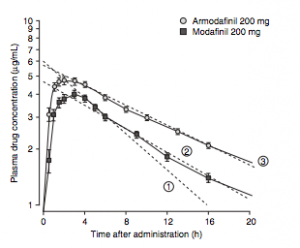 It was observed that Modafinil had lesser side effects & greater potency than its precursor. Although the use of Modafinil has grown exponentially in countries like UK and US, Adrafinil is used as a substitute to Modafinil as the drug is available without a prescription. 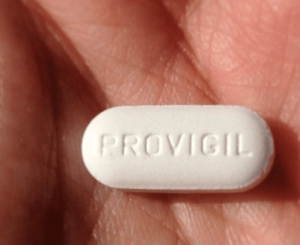 Modafinil has been sold in United states from 1998, under the name Provigil, which is distributed by Cephalon Inc (The parent company of Lafon from 2001). The FDA (Food and Drug Administration) has approved Provigil for treating shift work sleep disorder, narcolepsy and for hypopnea (Obstructive sleep apnea). Although some other medical conditions were found to benefit from Modafinil, FDA has failed to identify any additional benefits, even til this day. Many studies were conducted and demonstrated how Modafinil can be used in treating ADHD in children and adults while carrying very few side effects, addiction, withdrawal or abuse when compared with similar drugs like Adderall or Ritalin. There were negative reactions in children aged 7 to 12 in about 20 of 100 patients, and for this reason the FDA Advisory committee in a vote of 12 to 1 decided that Cephalon would not be allowed to create the drug Sparlon (Modafinil in 345mg to 420mg doses) which was to be used for ADHD in children — which also happens to be the dose that Cephalon considered to be the “effective” dose in treating ADHD. Modafinil was discovered to produce a stabilized effect on mood, creating positive thoughts, well-being and elevated confidence. Modafinil can also help control the stress and can help reduce the symptoms of anxiety. In the US, Provigil is also being used in treating atypical depression. This medical condition is noticeable in over-eating, hypersomnia, rejection sensitivity and low energy. 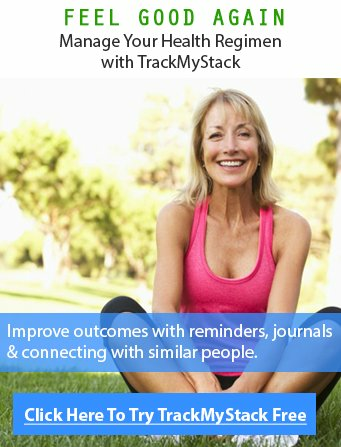 Although as these are all off-label use cases, studies need to be performed so the FDA approve the use and dose required for treating such symptoms and conditions. A good number of patients have found success taking Modafinil as a treatment for weight loss. Modafinil can result in advanced caloric expenditure and it can reduce the appetite by almost 38% less calories per day. Despite being used for many off-label purposes, it’s primary use continues to be that of a temporary cognitive enhancing agent. A single dosage of Modafinil in the morning can give individuals a very sharp focus and eliminate urges for procrastination. To counter the effects of fatigue, the US Air Force has approved Modafinil to be used to increase alertness in personnel. Infact the late-founder of the company himself stated that Modafinil can be used as a alternative to coffee or amphetamine like substances when asked, “What else can this novel molecule be used for?” the CEO said. Sample size of 31 patients consuming Provigil showed that 200mg followed by 50mg are the most common dose’s. Patients decided to go against mentioning if they had any condition, symptoms they were taking it for and it’s perceived effectiveness. We will be releasing a graph that will let us know the intent based on type of stack made, based on manually checking the stacks, most are for “Cognitive Enhancement”. What dosage is right for you? Modafinil usually comes in two sizes, 100 mg and 200 mg. It’s the sales of 200mg out rank that of 100mg. For the most part your doctor will prescribe you the right dosage based on any medical conditions you may or may not have. Generally, if being taken for mental alertness, 25mg is a good starting point to determine if the desired effect is felt, if not you can increase your dose the day after. It should not matter if you are taking it on empty stomach or not. One easy way to tell if you have taken too much is a headache. The usual recommended dosage of Modafinil is 200mg, that is once in day often in the morning, some people claim it takes up to 3 hours to “kick in” (see graph below) and thus it may be advisable to take right upon waking as you will feel alert by the time you get to work. First things first, Modafinil is not for children, Children shouldn’t take it at all — especially given the disapproval by the FDA based on testing. If you take Modafinil to counter shift work sleep disorder (Excessive drowsiness as a result of irregular work hours or schedule) then you should consider taking Modafinil just one to three hour right before the shift begins. Thus if you’re working for 8 hours, and even if the drug takes 2 hours to come into effect, based on the graph on the left you can see that the concentration in your blood remains high enough for you to get through your work effectively. Some believe that Modafinil needs to be taken as per the body weight; however, only little evidence was there to prove that Modafinil is necessary only for an average user. Every supplement or drug has it’s pros and cons, a risk-reward ratio, and Modafinil is no different. Although Modafinil is considered to be a safe drug to take, few possible side effects may be associated when taken. Side effects such as nausea, nervousness, headaches, insomnia, dizziness, anxiety, back pain, rhinitis and diarrhea. In placebo controlled studies, 8% of the individuals had to discontinue the drug due to adverse side effects. The most commonly noted side effect was headache. Patients on our site have noted that lowering the dosage and then taking it over 2 sessions reduced or removed headaches. Please consult your doctor or a healthcare professional if any side effects do come up. When you have decided to take the drug start with small dose and observe for a week . If there are no negative effects you could increase the dosage. You can also learn more about Modafinils successor, Armodafinil, or Nuvigil here.